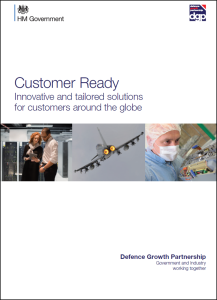 Here you can find materials, including reports, marketing material and other Defence Growth Partnership (DGP) documentation related to the UK defence industry. If you have any queries please contact us. 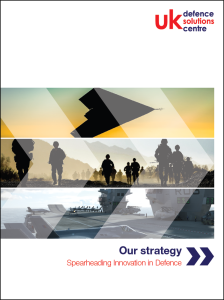 Spearheading Innovation in Defence summarises the UKDSC’s vision and mission, as well as the strategic aims and actions it is engaged in to develop UK capability and improve the value of investments. 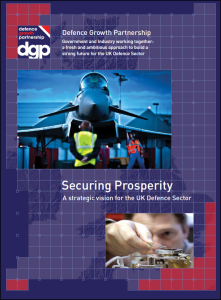 This is the third in the series of three documents, published by the DGP which chart the establishment and development of the DGP through to the creation of the UKDSC. This document sets out how the UKDSC was established, what it’s early parameters for operation are, and how it’s unique relationships across industry and government will benefit the UK export industry. This is the second in the series of three documents, published by the DGP. This document sets out the core objectives of the DGP and the implementation plan developed to deliver these objectives. This is the first in a series of three documents, published by the DGP. 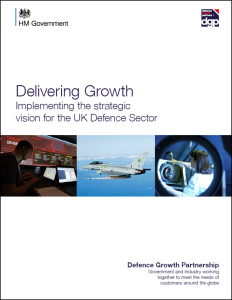 This document sets out the strategic vision and focus of the DGP, based on joint analysis completed by government and industry.